We want this thing filled by December. Launching a new initiative in December. No relo, Boston Based. Relatively junior product management 3-5 years experience. This is really appealing as a start-up. Boston area. Pharma neuro space is fine. Parkinsons. Individual with experience and product management, comfortable with upstream and downstream. PUSH DOWNSTREAM. This person is launching. The more you master downstream, the better you can target market needs to determine the trajectory of product development. There is no objective measure for Parkinson’s. The problem with Parkinson’s is that self-reporting is nigh-impossible, as your disease affects cognition. This gives you when the patient took their meds. Lipadopa. You may move too much. It lets you know how best to manage symptoms. The clinician can see an objective measure. This is incredibly powerful. Neurologists hate change. Hard to change the workflow. Patient-facing brand, pivot from scientific. Change the standard of care. Really interested and connected in the neuro space. How do we get buy-in from patients, advocacy groups, clinicians. Bonus:year-end based on corporate and individual components. 15 – 20%. We were at movement disorders meeting in 2018. We will be ANS. And some regional. Miami Neuro Symposium. Sinai Neuro session Both in early novemeber. PRG (Parkinsons Research Group) in q1 next year. Parkinson foundation center’s of excellence. Feb/March Next year. Joy focuses on Cardiovascular positions. She has recently filled the following roles: Director of Marketing, Product Manager, Field Marketing, Sales, Director of Sales, Reimbursement Manager, Clinical Nurse Manager, Clinical Specialist, Director of Operations, Director of Quality as well as well as several confidential VP level searches. 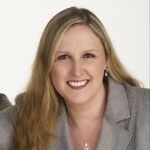 She has worked for Legacy MedSearch since 2008 in various roles and is very connected in the Medical Device community.